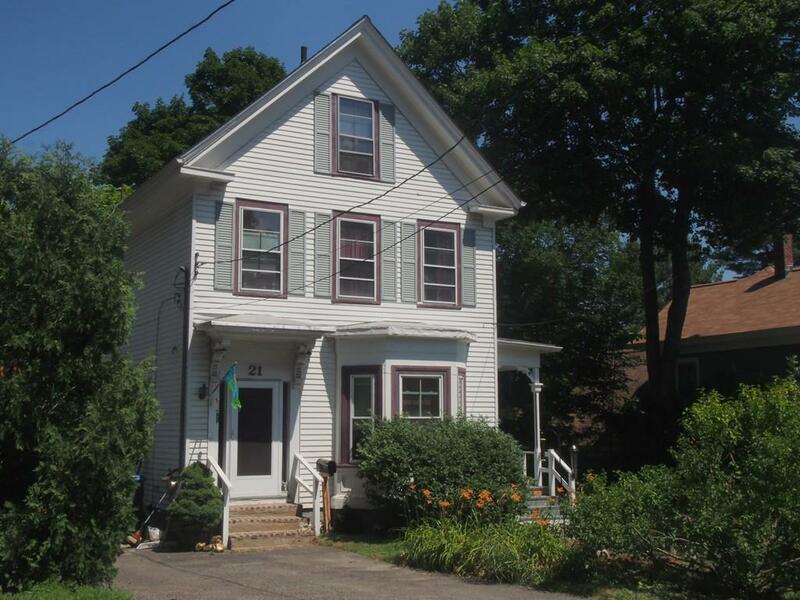 Welcome to a great 2-family home located in the desirable Walnut Hill area of Natick. With its quiet, private and natural surroundings, it is still just a short walk to the commuter rail and Natick Common with its 'Natick Nights', farmer's markets, and concerts. The first floor unit has a direct entrance to a living room with bay window, a large country kitchen with loads of cabinets, dishwasher and double stainless steel sink, 2 bedrooms and hook-ups. The second unit with its 2 floors of living space includes another spacious country kitchen, living room and 3 bedrooms. Perfect for an owner-occupant, it is located on a great street in a well-established neighborhood and has a large and private backyard perfect for gardening or recreation. It is well-landscaped with numerous flowering bushes (rose of sharon and varieties of lilacs) and a dwarf Japanese maple tree enhancing the front yard. 2 parking spaces at rear of property. American Home Shield Home Warranty available to buyer.